"Who is this person? Has Donny approved of him?" 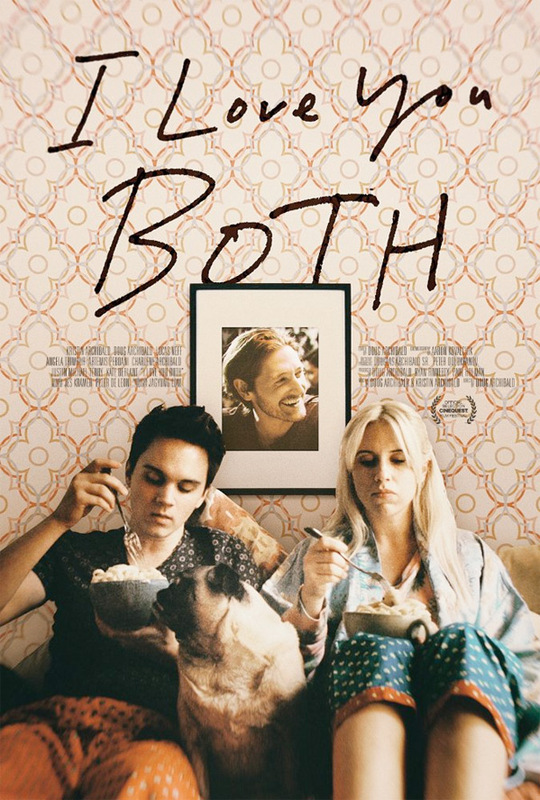 Magnolia Pictures has debuted an official trailer for an indie comedy titled I Love You Both, from writer/director Doug Archibald. The film follows two twins, Krystal and Donny, who have been codependent their entire lives, still living together in a converted one bedroom house. They both meet and start dating the same nice guy, and are forced to figure out what to do with their lives on their own. Kristin Archibald and Doug Archibald star as Krystal and Donny, along with Lucas Neff as Andy, Artemis Pebdani, Angela Trimbur, Kate Berlant, Justin Michael Terry, and Charlene Archibald. This looks quirky and spunky and sweet, but hopefully not too campy. Have fun. Twins, Krystal and Donny, have been codependent their entire lives, still living together in their late twenties in a converted one bedroom house. When they both meet and start dating the same guy, they remain in denial about the fact that they’re both dating him until he picks only one of them, forcing them to confront that they can no longer live the same life. With nowhere to turn for advice except each other and their only two friends-Linda, a former middle-school Tae Bo teacher, and their mother-the twins are finally forced to look for answers from within. I Love You Both is directed by filmmaker Doug Archibald, making his feature directorial debut after a short film previously. The screenplay is by Doug Archibald and Kristin Archibald. Magnolia will release I Love You Both in theaters + on VOD starting June 9th this year.